Meniscus tears are among the most common knee injuries. Athletes, particularly those who play contact sports, are at risk for meniscus tears. However, anyone at any age can tear a meniscus. When people talk about torn cartilage in the knee, they are usually referring to a torn meniscus. Sports-related meniscus tears often occur along with other knee injuries, such as anterior cruciate ligament tears. Sudden meniscus tears often happen during sports. Players may squat and twist the knee, causing a tear. Direct contact, like a tackle, is sometimes involved. You might feel a “pop” when you tear a meniscus. Most people can still walk on their injured knee. Many athletes keep playing with a tear. Over 2 to 3 days, your knee will gradually become more stiff and swollen. The most common symptoms of meniscus tear are: pain, stiffness and swelling, catching or locking of your knee, the sensation of your knee “giving way,” and you are not able to move your knee through its full range of motion. How your orthopedic surgeon treats your tear will depend on the type of tear you have, its size, and location. Some need surgery and others do not. 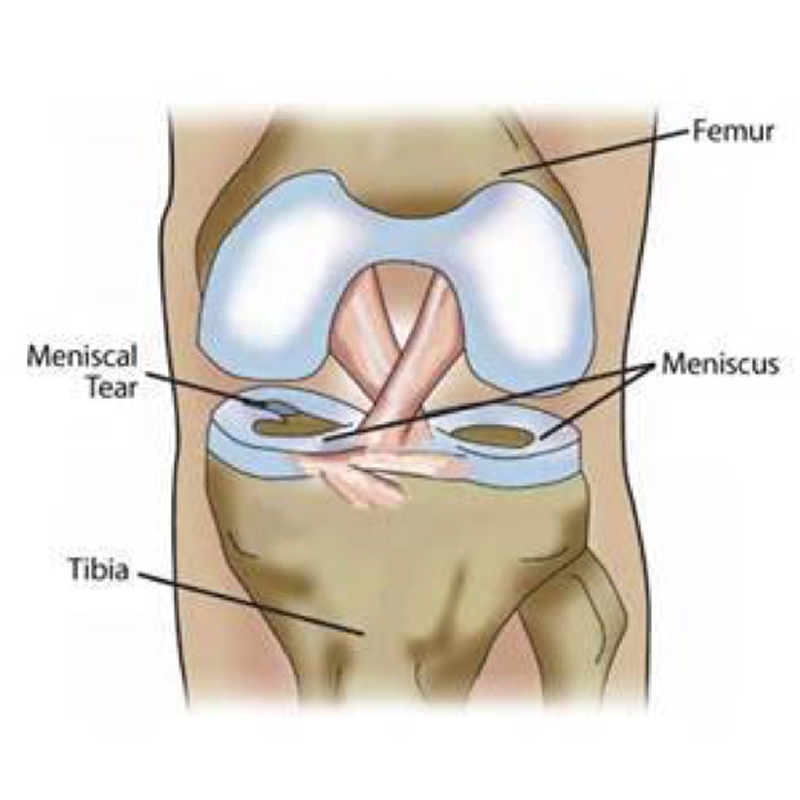 Come in to see your orthopedic surgeon to be examined and learn more about meniscus tears!